Disclosure: This is a sponsored post with EverlyWell and FitApproach. I am being compensated for this post. However, all opinions are my own and are my honest thoughts about the product. Moms, you know we want the absolute best for our kids. We worry about everything from how to stimulate their growing minds to what car seat will keep them the safest. Feeding our babies can also be a huge source of stress. I think all of us have heard by now that breastfeeding has a lot of benefits. If you’re lucky enough to be able to breastfeed, I think it’s pretty normal to worry about whether your baby’s getting the nutrition he or she needs from your milk. Love this sweet little nugget. I know I do everything I can to make sure I’m giving Baby B the best chance at being her best self. I sing and talk to her throughout the day, I try not to limit my vocabulary when I talk to her, I read to her, I encourage her to learn how to use her body, and now that we’re incorporating solids into her diet, I try to make sure that she gets a wide variety of fruits and veggies so she can get the nutrients she needs. I also know that breastmilk is still very important for her, so I make sure that I’m eating well, too, so she can get all of the nutrients she needs from me, too. If you’ve looked at formula, you’ll notice many (if not most) formulas have DHA in them. That’s because DHA is crucial for your baby’s brain development before and after birth. DHA is an essential Omega-3 fatty acid, which means our bodies don’t produce it naturally so we need to get it from food. Most of us don’t eat enough high-DHA foods, which means that your baby may not be getting enough DHA if you’re not supplementing your diet. So, if you choose to use formula, you know exactly how much DHA your baby is getting, but if you breastfeed your baby, you probably have no idea. I know I personally still take a prenatal multivitamin with DHA so I can do what I can to make sure Baby B is getting the nutrients she needs from my milk. 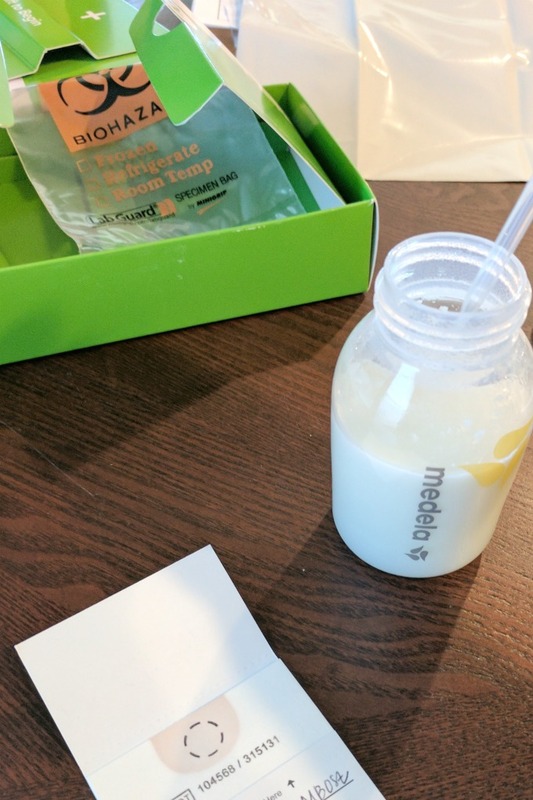 But, I didn’t know if she was getting enough DHA from my breastmilk, which is why I was excited to have the opportunity to try out EverlyWell’s Breast Milk DHA Test. The test was generally easy to use. You simply unbox all the materials and use the dropper provided in the test kit to place milk onto a provided test card. I was happy to see that I only needed to use a couple of drops of milk for the test. Let’s face it–that stuff is liquid gold, so it’s nice to know that the test only needs a few drops so my baby can have the rest. It’s also convenient to only have to pump a little bit of milk if you’re not already pumping regularly. EverlyWell suggests collecting the milk you’re going to test the first thing in the morning, so you’ll want to plan accordingly. You should collect the milk you’re going to use before you take any DHA-containing supplements that day. So, if you’re like me and you take a multivitamin with DHA, collect your milk before you take your vitamin. Once you’ve placed the drops of milk on the test card, you let it dry for a few minutes, then you package everything up and send it back (with prepaid postage). I have to admit that although the instructions are relatively clear, I still got a little confused preparing my sample to be sent back, probably due to sleep deprivation (getting up to pump first thing in the morning). Once I figured out that the sample gets placed back in the small plastic zip top bag, which gets put back in the box, which is then placed in the larger plastic mailing bag with the mailing label, I got it packaged up and ready to go in the mail relatively quickly. It took a couple of weeks to get my results. I was surprised to see that the DHA levels in my milk were a little lower than the recommended range since I do take a daily supplement. 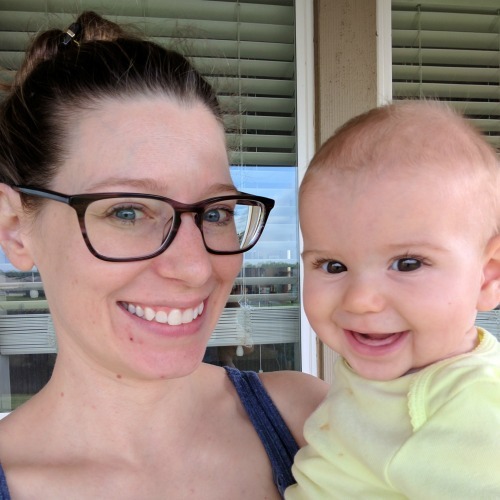 But, that information helped me make the decision to take a second Omega-3 supplement in the afternoon each day to make sure Baby B’s getting the essential fatty acids she needs. You can click on the initial page for more detailed results, which I think provided a much clearer explanation of the test and what it means. It’s important to note that these are just suggested ranges for DHA. It’s not quite like a blood test, where your cholesterol should be within a certain range to reduce your risk of heart disease and other health problems. But, we do know that DHA is so important for the development of a baby’s brain, so it’s still valuable to know how much DHA is in your breastmilk. With that information, you can choose to eat more foods with DHA or take an additional supplement if you think that’s best for you and your baby. 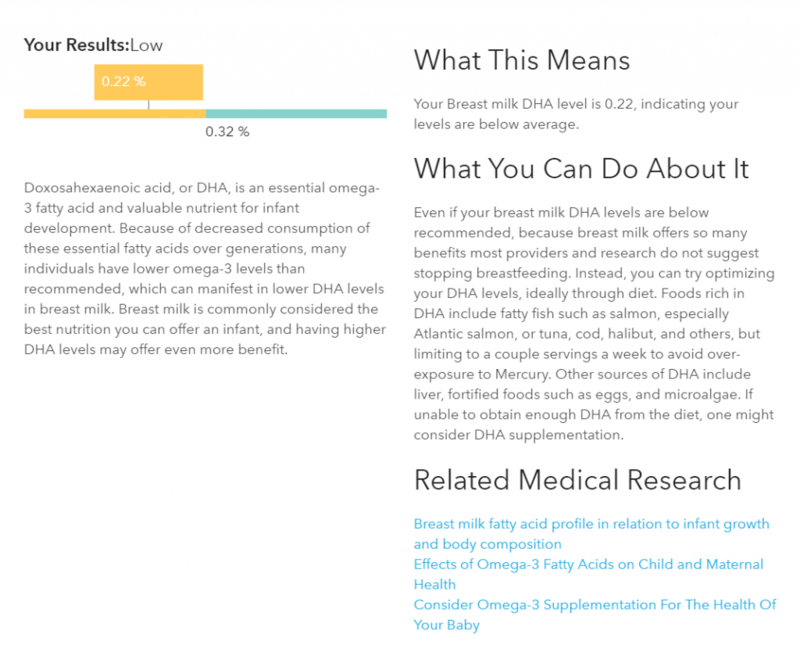 Are you curious how much DHA is in your breastmilk? 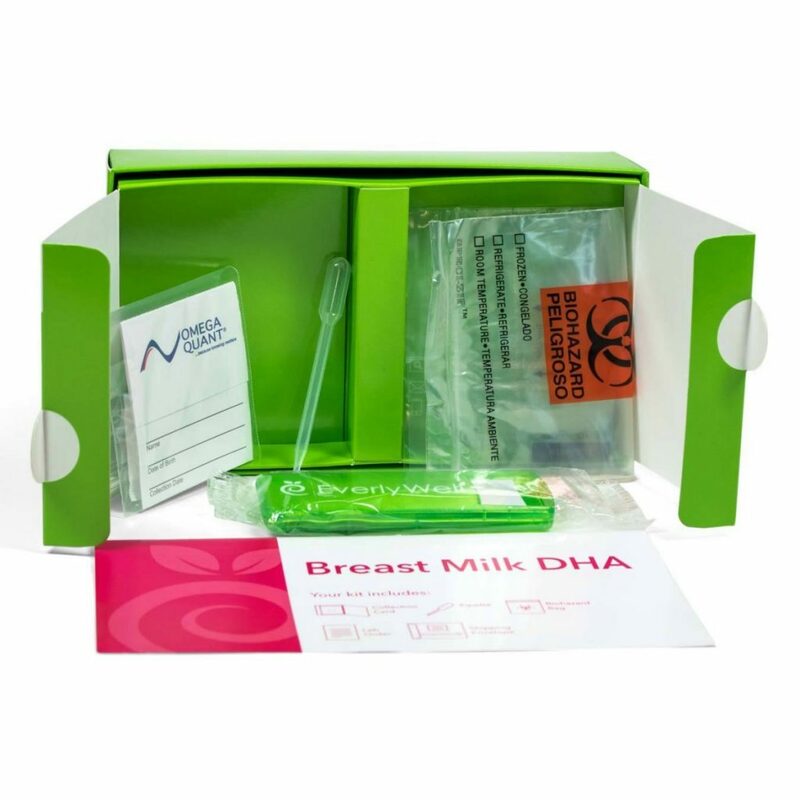 If you’d like to order your own Breast Milk DHA Test kit from EverlyWell, I have a coupon code for you! Use code SUBLIME15 to get 15% off your kit. Click here to order your kit! « Friday Favorites #91 + 20% off the Blogger to Author book! It’s awesome that EverlyWell came out with a DHA test – definitely telling my new momma friends about it!! Gorgeous baby B and momma! Thanks for sharing your experience.